Earthworms creep along the ground by alternately squeezing and stretching muscles along the length of their bodies, inching forward with each wave of contractions. Snails and sea cucumbers also use this mechanism, called peristalsis, to get around, and our own gastrointestinal tracts operate by a similar action, squeezing muscles along the esophagus to push food to the stomach. Now researchers at MIT, Harvard University and Seoul National University have engineered a soft autonomous robot that moves via peristalsis, crawling across surfaces by contracting segments of its body, much like an earthworm. The robot, made almost entirely of soft materials, is remarkably resilient: Even when stepped upon or bludgeoned with a hammer, the robot is able to inch away, unscathed. Sangbae Kim, the Esther and Harold E. Edgerton Assistant Professor of Mechanical Engineering at MIT, says such a soft robot may be useful for navigating rough terrain or squeezing through tight spaces. The robot is named “Meshworm” for the flexible, meshlike tube that makes up its body. Researchers created “artificial muscle” from wire made of nickel and titanium — a shape-memory alloy that stretches and contracts with heat. They wound the wire around the tube, creating segments along its length, much like the segments of an earthworm. They then applied a small current to the segments of wire, squeezing the mesh tube and propelling the robot forward. The team recently published details of the design in the journal IEEE/ASME Transactions on Mechatronics. In addition to Kim, the paper’s authors are graduate student Sangok Seok and postdoc Cagdas Denizel Onal at MIT, associate professor Robert J. Wood at Harvard, assistant professor Kyu-Jin Cho PhD ’07 of Seoul National University, and Daniela Rus, professor of computer science and engineering and director of MIT’s Computer Science and Artificial Intelligence Laboratory (CSAIL). In the past few decades, many roboticists have looked for ways to engineer soft robotic systems. Without bulky, breakable hardware, soft robots might be able to explore hard-to-reach spaces and traverse bumpy terrain. Their pliable exteriors also make them safe for human interaction. A significant challenge in soft robotics has been in designing soft actuators, or motors, to power such robots. One solution has been to use compressed air, carefully pumped through a robot to move it. But Kim says air-powered, or pneumatic, robots require bulky pumps. “Integrating micro air compressors into a small autonomous robot is a challenge,” Kim says. Instead, Kim and his colleagues looked to the earthworm for design guidance. 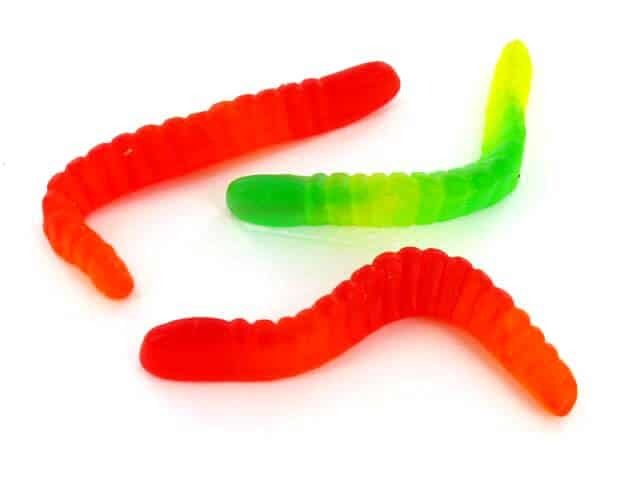 They noted that the creepy crawler is made up of two main muscle groups: circular muscle fibers that wrap around the worm’s tubelike body, and longitudinal muscle fibers that run along its length. Both muscle groups work together to inch the worm along. The team set out to design a similar soft, peristalsis-driven system. The researchers first made a long, tubular body by rolling up and heat-sealing a sheet of polymer mesh. The mesh, made from interlacing polymer fibers, allows the tube to stretch and contract, similar to a spring. Depending on the ratio of nickel to titanium, the alloy changes phase with heat. Above a certain temperature, the alloy remains in a phase called austenite — a regularly aligned structure that springs back to its original shape, even after significant bending, much like flexible eyeglass frames. Below a certain temperature, the alloy shifts to a martensite phase — a more pliable structure that, like a paperclip, stays in the shape in which it’s bent. The researchers fabricated a tightly coiled nickel-titanium wire and wound it around the mesh tube, mimicking the circular muscle fibers of the earthworm. They then fitted a small battery and circuit board within the tube, generating a current to heat the wire at certain segments along the body: As a segment reaches a certain temperature, the wire contracts around the body, squeezing the tube and propelling the robot forward. Kim and his colleagues developed algorithms to carefully control the wire’s heating and cooling, directing the worm to move in various patterns. The group also outfitted the robot with wires running along its length, similar to an earthworm’s longitudinal muscle fibers. When heated, an individual wire will contract, pulling the worm left or right. As an ultimate test of soft robotics, the group subjected the robot to multiple blows with a hammer, even stepping on the robot to check its durability. Despite the violent impacts, the robot survived, crawling away intact.